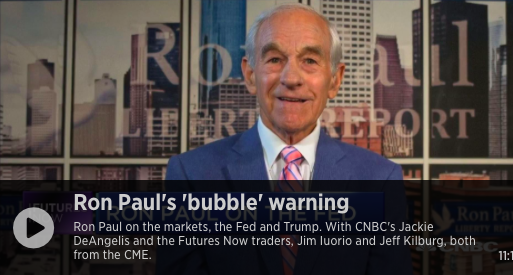 Dr. Ron Paul say's that each Federal Reserve bubble must turn into a bust. It's unavoidable. According to the central planners, the "solution" for the bust is more creation of new money and credit. That's the only way they can keep their "system" alive.